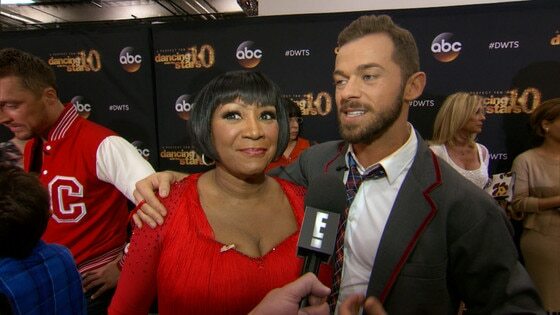 Patti LaBelle Has Time of Her Life on "DWTS"
Miss Patti has left the ballroom. Patti LaBelle got the boot from Dancing With the Stars after six weeks of competition, but there are no tears from the legendary singer. "Emotionally, I was fine. I knew someone how to leave. Robert [Herjavec] or Patti. It was Patti. I'm so proud of myself; I never thought I could do six weeks of this," she told us. "Thank god I have Artem [Chigvintsev] as a partner because if I didn't I would've gone the second week." Patti, who is known for her hit songs such as "Lady Marmalade" and "New Attitude," said the experience has left her feeling great…with the exception of some knee pain. "We had a blast doing it," Artem said. The couple performed the Quickstep to "Heatwave" and received a 29 out of 40. "She'll be my friend for life." "I had the time of my life," Patti told Artem. "Thank you." So can we expect so see some Quickstep, Samba and Cha Cha when Patti hits the stage to for a concert? See what she had to say about her dancing future in the video interview above.